provide you with professional service according to your actual requirements. * We are a factory, competitive Ex-factory and fax-free price offered for your massive profits achievement. 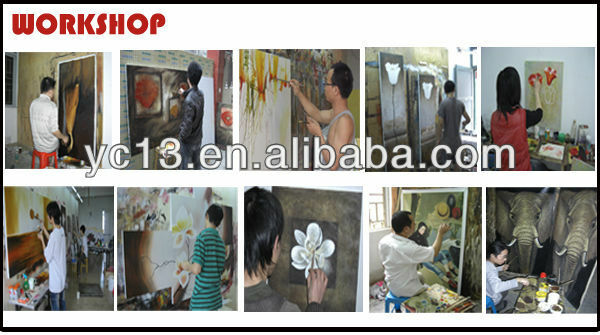 * Wide range of paintings available. More than 10000 different items and new designs every month. * OEM & ODM both available. *Fast delivery time guaranteed. Parcels will be delivered to you directly from our warehouse in 3-45days. *Sincere pre-sale and after-sale services offered. *Safe package for each item for long distance transportation. *Stretched paintings will be packed in single box with layer protection. be put into cartons shipped by sea. 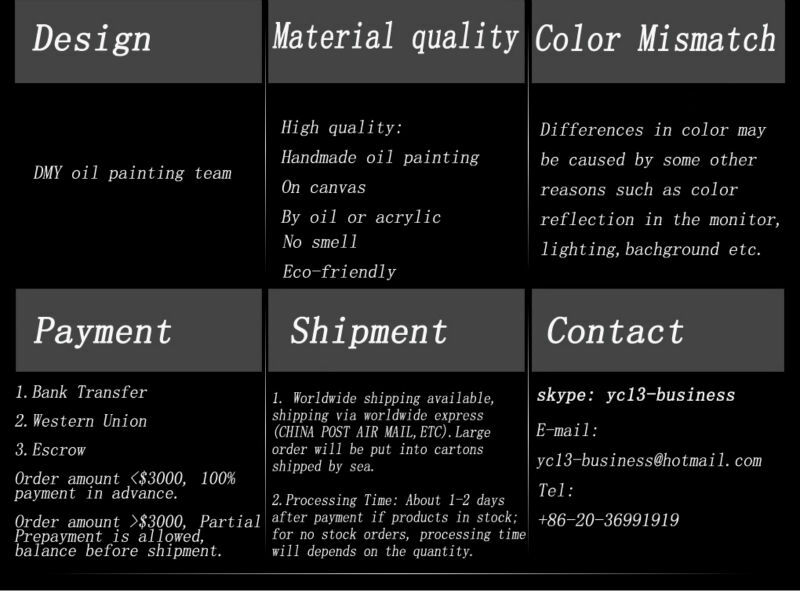 in stock; for no stock orders, processing time will depends on the quantity. your total satisfaction is our greatest wish. taken of the wrong painting within 14 days upon receipt of the goods. our artists have decades experiences and al of them have advanced degrees in fine arts.